Proof that not all programming languages are created equal. It’s a bold statement. But we stand behind it. There is simply no other web-focused programming language that rivals Lasso’s seamless blend of speed, simplicity and security. For over 17 years, the Lasso suite of middleware applications has enabled thousands of educational institutions, government agencies, small businesses and global enterprises to create and publish custom, data-driven web sites. 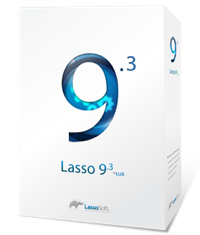 We proudly carry on that tradition with Lasso 9. The centerpiece of the Lasso product line maintains Lasso’s legendary ease-of-use, cutting-edge functionality and cross-platform versatility, while outperforming other major programming languages in speed and stability tests. Lasso syntax is so clean and easy to follow even beginners can work out what is being expressed. Lasso comes with built-in libraries and connectors, described in more detail throughout this site, enabling anyone to get up and running quickly—whatever platform you need to use, or whatever database you want to connect to. 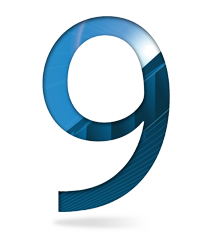 Endlessly scalable, flexible enough for any environment and supported by a dynamic, worldwide community of developers, Lasso 9 is all the proof you’ll need that there are web programming languages…and then there’s Lasso. Tell me more - What is Lasso? Where do I download Lasso?